Here is a great song performed by the one and unique Dorothy Squires. After her relationship with Reid ended she married British actor Roger Moore in 1953 in New Jersey. Moore was twelve years her junior. The marriage lasted until 1961, when Moore left her and moved in with Luisa Mattioli, whom he was unable to marry legally until Squires granted him a divorce in 1969. She performed until the 1990's. Squires retired to Wales and died of lung cancer in 1998. Considered as one of Great Britain's greatest singers, a charismatic and electrifying stage performer, her powerful voice, looks and style are very close to Vikki Carr and Shirley Bassey's, but she was their senior by far, so one cannot say that she was influenced by them. On contrary, it has been said that she was one of Bassey's main influences, along with Judy Garland. 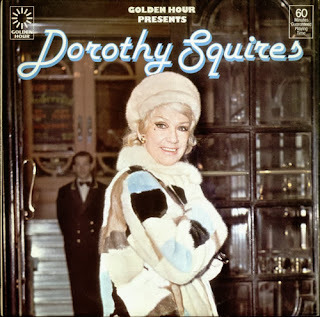 Enjoy the power and emotion of Dorothy Squires' voice! 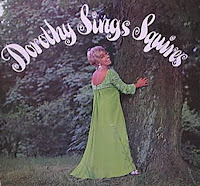 And here are other fantastic performances by the great Dorothy!